Celia Knight, the council’s current Neighbourhood Development Officer in Bulwell Forest, has been working with local communities since the late 1970s. Born in Northamptonshire, she came to Nottingham to attend the then Nottingham University, where she received her degree in Social Administration. After university, Celia moved away to help people in other parts of the world, including Belfast where she was a volunteer for Community Service Volunteers. It was then onto Swansea to gain her Master’s degree, where she also worked on a community work project in the docks area of Newport, working with residents groups involved with housing clearance and improvement programmes. In the early 1980s she worked with Vietnamese refugees who had been placed in a resettlement camp prior to finding permanent accommodation elsewhere in the country. She then came back to Nottingham to work as a community development worker with Nottingham Community Project, first on Broxtowe estate and then in Sneinton supporting the tenants and residents associations and other community groups. Then for the next 18 years she managed the Volunteer Bureau, responsible for recruiting and supporting volunteers for a range of local organisations. In January 2005, Celia Joined Nottingham City Council, initially as a community development worker in Bilborough and worked with various community groups. She then moved to become a neighbourhood action officer in Bulwell Forest Ward around ten years ago, working with local councillors and partner agencies to address issues raised by residents and help to support community initiatives. The issues raised by residents range from dog fouling, litter and potholes, to drug activity, homelessness, dangerous structures and problems caused by derelict sites. 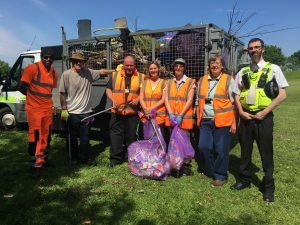 In addition the role includes organising community events such as Southglade Parklive and administering the small grants provided by the councillors to local community groups. In her own time she volunteers as a secretary to the patients group at the local GP surgery and she is also involved with conservation work for Notts Wildlife Trust at Attenborough Nature Reserve. 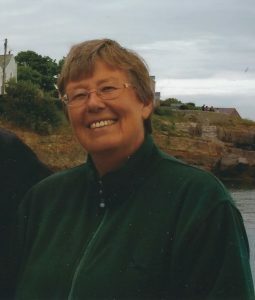 Since turning 60, she has done an annual long distance charity walk for a different charity – this year she is walking 112 miles in memory of brother who died in February and her challenge starts today – on the day of her honours announcement. Anyone wishing to donate to this good cause can do so through her My Donate page – https://mydonate.bt.com/fundraisers/celiaknight1 .